We have a strawberry patch in our own garden so every year we get tons of fresh homegrown strawberries. And while they are amazing to eat all on their own, they are also amazing on shortcake! 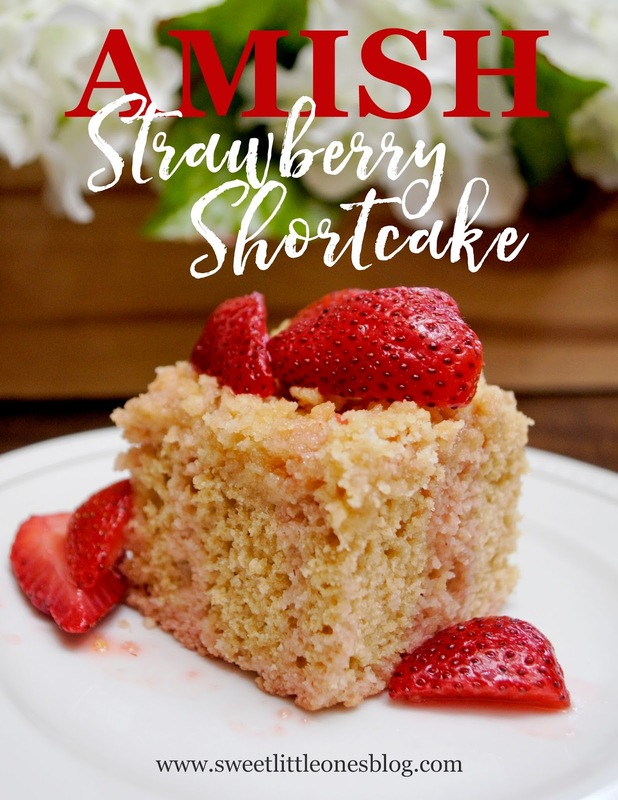 I found this Amish Strawberry Shortcake recipe a few years ago, and it is our family's absolute favorite. 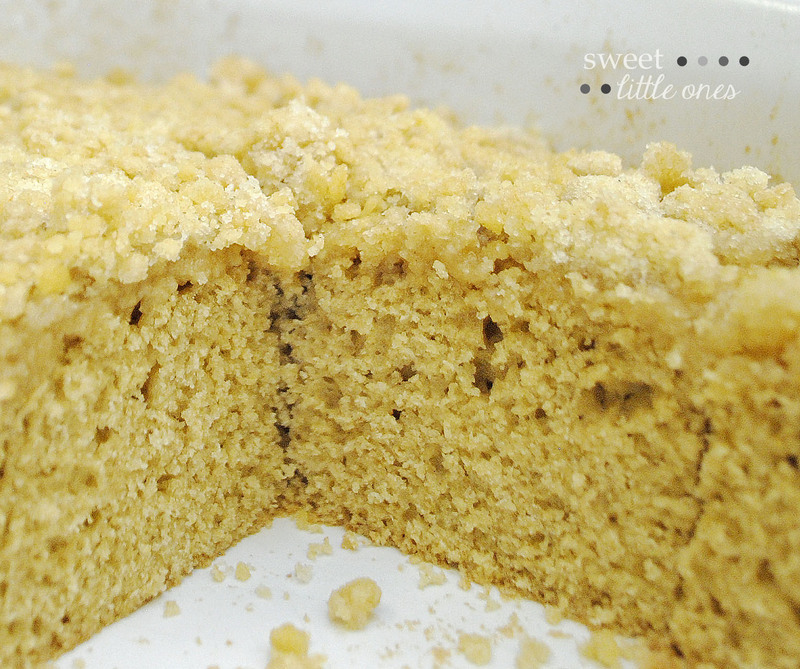 It's definitely the crumbly and sugary streusel-like topping that really makes it stand out! 1. 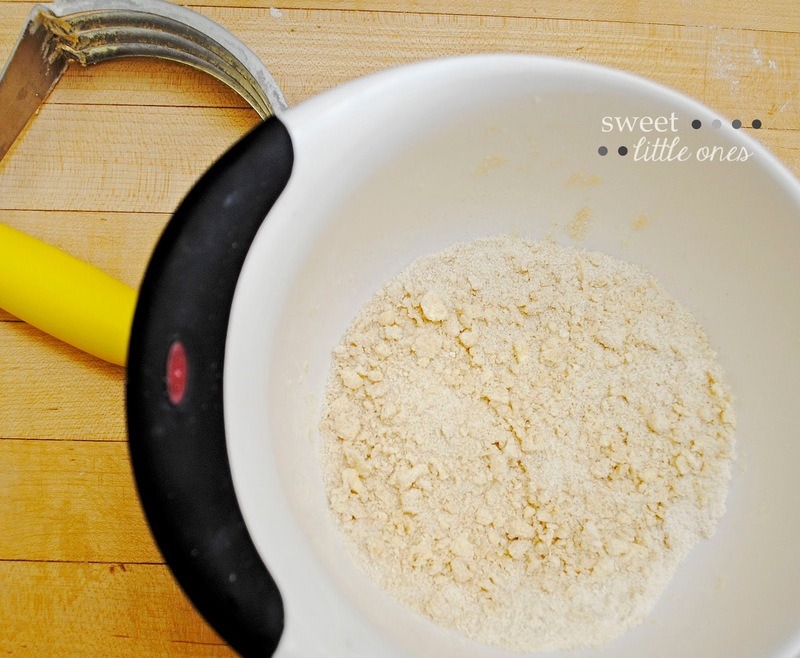 Mix dry ingredients (flour, baking powder, salt, and sugar) together. Add butter and combine until crumbly. 2. Add milk and applesauce, and mix until just combined. Mixture will be very thick and sticky. 3. Spread batter evenly into a greased 8x8 baking dish. Set aside. 4. For the shortcake topping, mix together the flour and sugar in a separate mixing bowl. Cut the butter into small pieces and add to the mixture. Use a pastry blender (or two knives) to cut butter into the flour/sugar mixture to create crumbs. 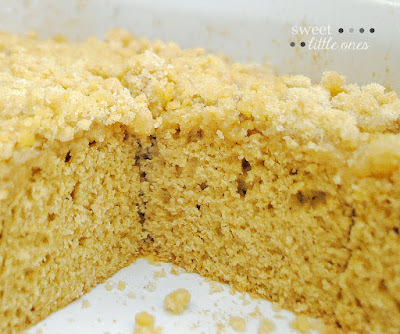 (Crumb topping should look similar to what is pictured above.) Sprinkle on top of the batter in the baking dish. 5. Bake at 350 F for 30 minutes or until a toothpick inserted near the middle of the cake comes out clean. 6. While the shortcake is in the oven, pour 1/2 cup of sugar on top of the sliced strawberries in a bowl that can easily be covered and put in the refrigerator. Gently mix until the strawberries are covered with the sugar. Refrigerate strawberry topping for at least 3 hours. 7. Allow shortcake to cool completely before serving. Serve topped with strawberry topping, milk (my husband's fave addition! ), whipped topping, ice cream, etc. We use applesauce as a substitute for eggs since our son has an allergy. If you prefer, use 1 egg (beaten) instead of the applesauce in this recipe. Also, you can add more sugar to the strawberries to suit your family's tastes. 1/2 cup is a good starting point. A nice strawberry "juice" will start to surround the strawberries after some time in the refrigerator. We love pouring that on top of the shortcake as well! Do you grow your own strawberries or go strawberry picking? 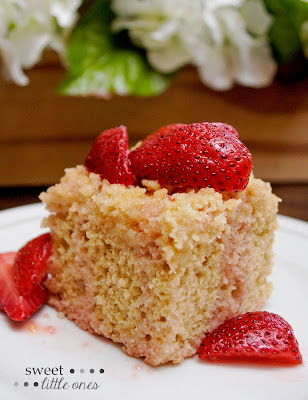 What are your favorite strawberry recipes?